Sculpture Size: 9 X 12 X 7 in. Having spent a great deal of time in the Rocky Mountains of Colorado this summer, Mark has been inspired by the flora and fauna all around. Many people flock to mountain trailways each fall to witness the changing colors. 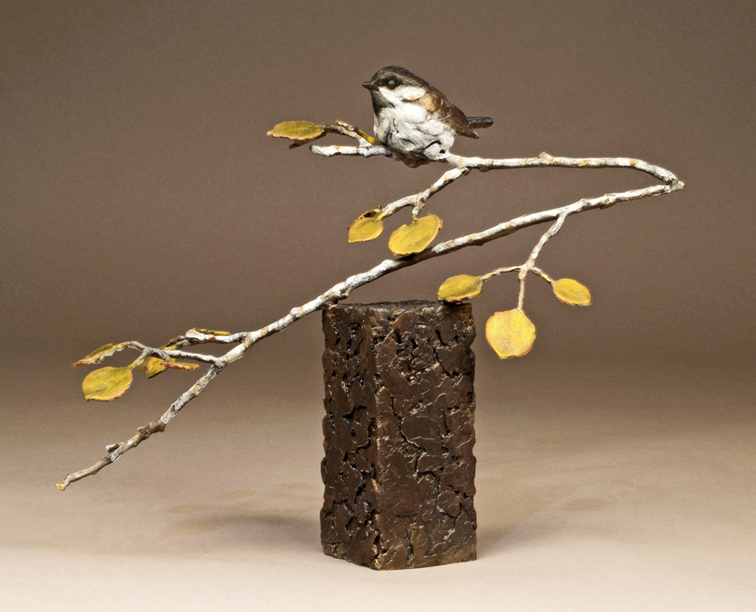 His newest chickadee sits atop aspen branches with a bird's eye view of the Mountain Gold.